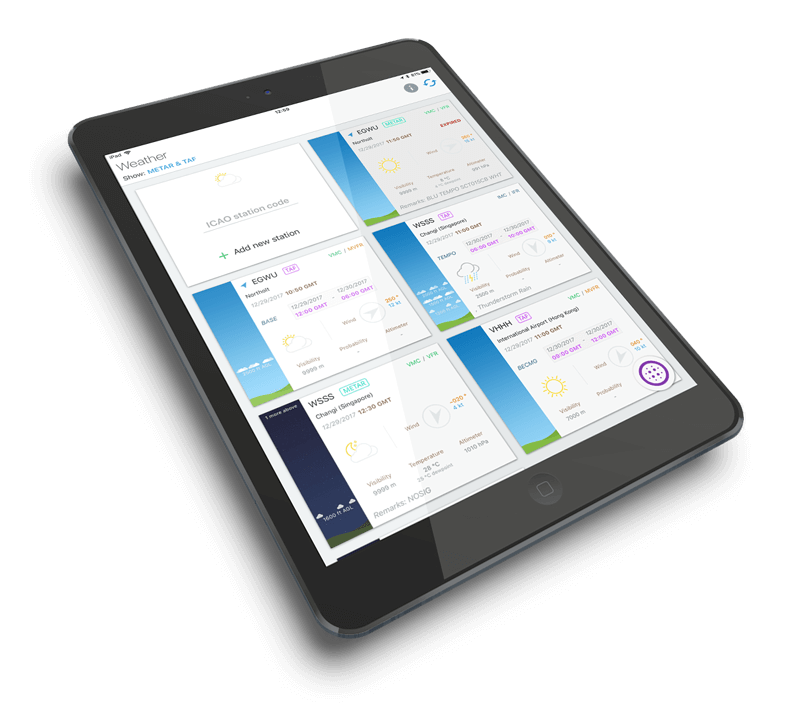 Get up-to-the minute pre-flight weather and NOTAMs direct to your mobile device. Never get caught out with out-of-date information again. It sometimes feels as if the weather is just waiting to catch you out as a pilot. While you can never prevent the inevitable last minute runway change due to wind, you can at least have the most up-to-date information at your fingertips. 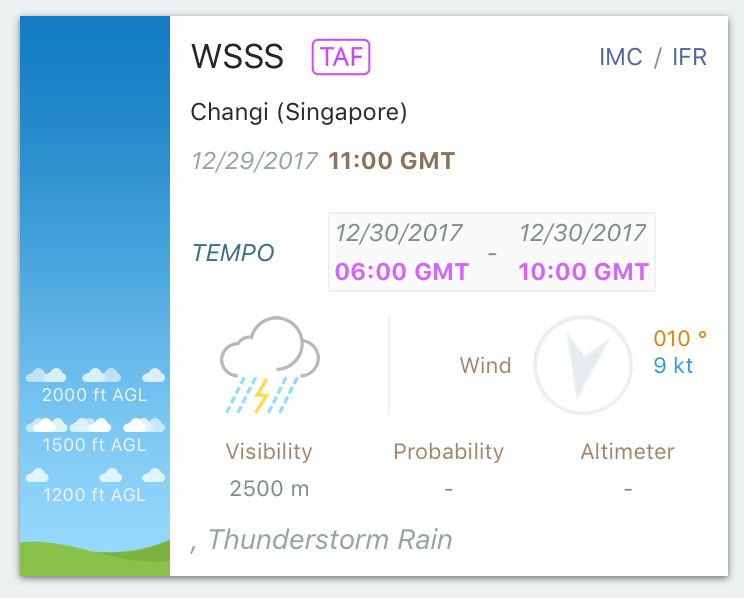 Pilot Assist Pro™ has a unique aviation weather display which sources official forecast and actual weather conditions (TAFs and METARs) from your chosen selection of airports and weather stations. 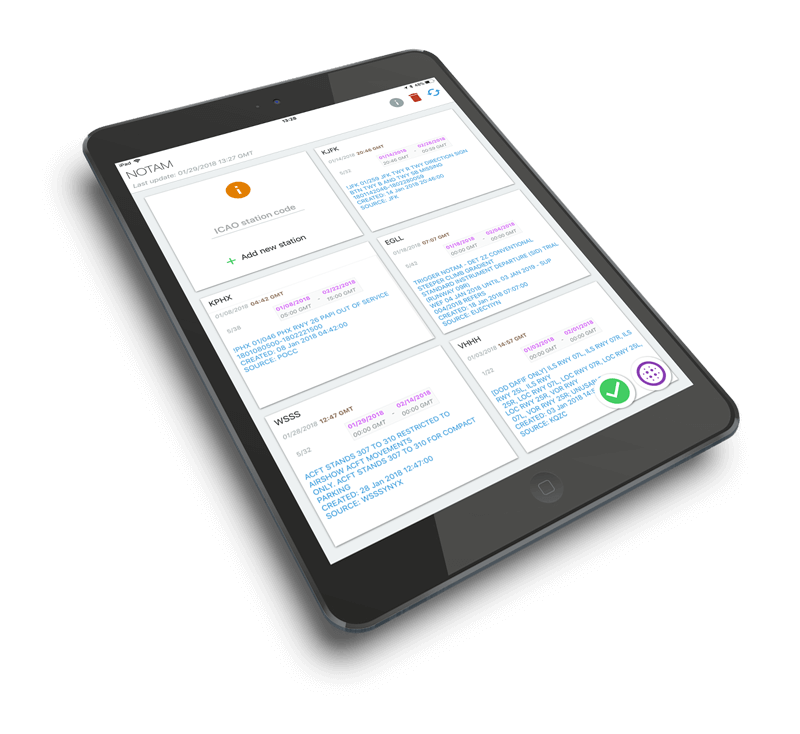 You can choose to display the information in raw or decoded format, and even offers Sky View – our unique visual display of cloud layers and coverage – for quick reference. Deciphering complex TAFs (with multiple TEMPOs and BECMGs) is simple with a scrollable, phase-by-phase display. Need to keep track of the reported weather at the point of departure? A single tap of your screen will upload the prevailing data straight to the Cloud via Dropbox™. Busy airfields can have complex NOTAMs, often running into dozens of individual notices. It’s far too easy to print and forget. With Pilot Assist Pro™, NOTAMs are available direct from the app, which is updated whenever you are connected to the internet, and stored in your device when you’re offline in flight mode. All you need to do is select the airports you’re interested in. All NOTAMs are displayed in an easy to read format, allowing you scroll (or auto-scroll) between the various notices. And for your records, with the tap of your screen you can upload the NOTAMS – as they existed at the time of use – to the Cloud via Dropbox™.